Pub 13 is located on N. Washington, on the corner of Michigan Ave, in the heart of Ypsilanti, MI.From I-94: Take I-94 toward Ypsilanti. Exit at Huron and proceed past 3 traffic lights. After the third traffic light, get immediately into the left lane. At Pearl Street (no light, one-way) turn left. Go to the second stop sign (North Adams) and turn left again. Driveway for parking is on the left side. If that parking lot is full, there is also a public lot on the right side after you turn onto Pearl. There is enforced, metered parking until about 8:30, so don't forget to bring your quarters. "Our bi-level dueling pianos and sports bar features a full dining menu and more than 113 beer selections from all over the world. 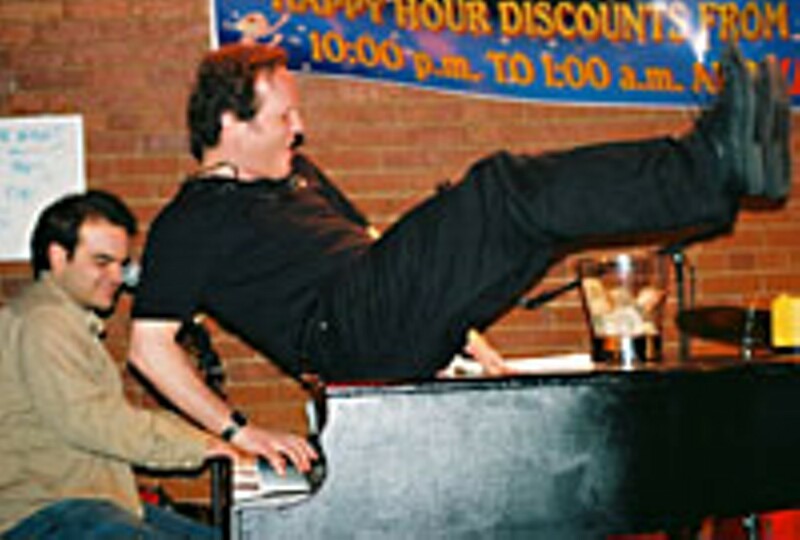 Laugh and sing with our dueling pianos Wednesday through Saturday. Join us for karaoke every Sunday night. Upstairs is the "Best Dang Sports Bar," with pool tables, darts and more. Entertainment: Karaoke on Sunday 10 p.m.-2 a.m., Name That Tune Music Trivia on Monday and '80s night every Tuesday. Other live entertainment as scheduled.